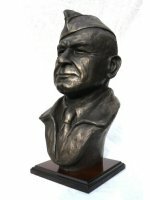 General James H Doolittle American aviation pioneer. 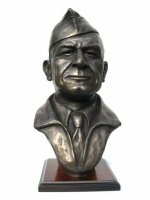 He earned the Medal of Honor for his leadership as commander of the Doolittle Raid during the Second World War. The Doolittle raid was the first attack on Japan by the US in the Second World War and occurred just four months after the attack on Pearl Harbour. 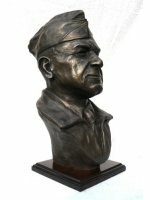 The raid was planned and led by Doolittle who later recounted in his autobiography that the raid was intended to cause the Japanese to doubt their leadership and raise American morale. 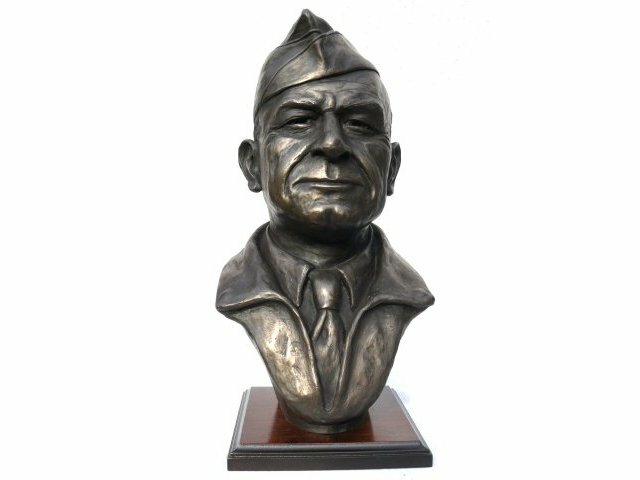 This cold cast Bronze Jimmy Doolittle Bust is made entirely by hand by sculptor Peter Close in his studio in Somerset. 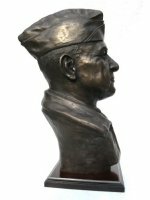 Each limited edition Doolittle sculpture is hand engraved by Peter with its own unique edition number and will come to you with a signed certificate of authenticity.